Both people and pets can suffer from pulmonary edema, a condition that usually discloses an underlying disease. However, this illness (or symptom of an illness) can be scary and sometimes life-threatening. If you notice your dog or cat coughing or becoming short of breath, immediately make an appointment with your vet to deduce if the condition is cardiogenic (originating in the heart) or noncardiogenic. Cardiogenic forms of pulmonary edema can be fatal, so the quicker you treat it, the better the prognosis. Pulmonary edema refers to a condition where the alveoli (tiny clusters of air sacs in the lungs) fill with fluid, displacing the amount of air intake and making it hard to breathe. This condition usually comes on as a result of heart failure, cancer, a traumatic event like electrocution or shock, or a head injury. In most cases, pulmonary edema can be resolved with a diuretic medication like furosemide, but the underlying condition needs to be addressed, as well. The most severe form of fluid in the lungs—cardiogenic pulmonary edema—results from an increase in pulmonary capillary pressure due to heart failure. Pets that suffer this condition usually have an underlying heart disease condition, one that most likely has contributed to prior health issues in the past. This type of edema is located on the left side of the lungs and can be life-threatening, especially when complete heart failure is involved. Noncardiogenic pulmonary edema, on the other hand, is usually dispersed throughout both sides of the lungs and can result from severe shock, a blockage of the airway, or sepsis from infection. Upon arrival at your vet's office, a complete examination of your dog or cat will be performed which will include listening to its heart through a stethoscope. In most cases, thoracic radiographs (or X-rays) are used to diagnose all forms of pulmonary edema. If the condition stems from a cardiogenic issue, treatment will begin with supplemental oxygen, rest, and the administration of furosemide (Lasix), a common diuretic. Furosemide is almost always used as a primary line of treatment in cases of congestive heart failure to remove excess fluid buildup in the lungs and other areas of the body. However, if congestive heart failure is present, your vet may prescribe something stronger, like spironolactone or hydrochlorothiazide, in addition to a vasodilator. In extreme cases, a mechanical respirator will be provided. For noncardiogenic conditions, the vet will inspect your dog or cat for burns around the mouth area, resulting from electric shock from an extension cord. Your vet will also check its airway (possibly by radiograph) to see if any foreign objects are lodged inside it, preventing full respiration. Upon detection, you vet will attempt to remove blockages after sedating your pet and some blockages may require surgery. In most noncardiogenic edemas, medicines are also used, including diuretics, anti-inflammatories, and colloids. Your vet will decide the best course of action and prognosis is usually favorable. Follow-up treatment for cardiogenic patients consists of medication to strengthen the heart and the adherence of a low-sodium diet. 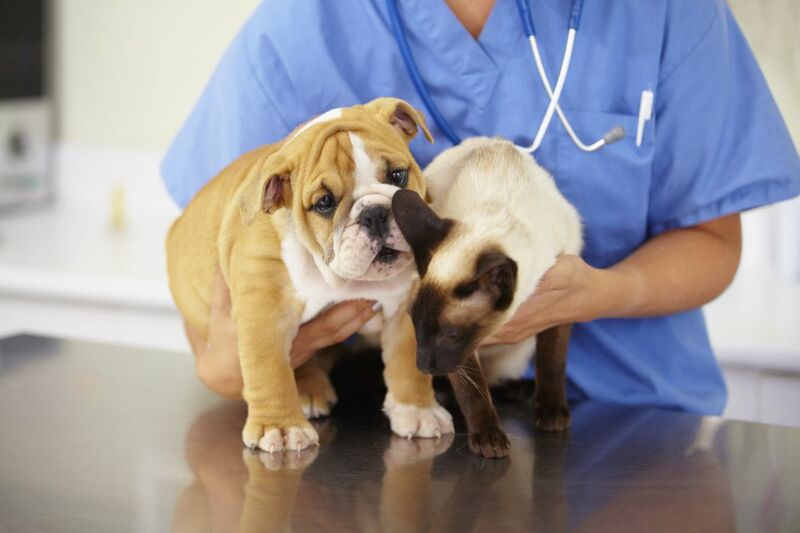 For issues unrelated to the heart, the vet will provide follow-up instructions to treat the underlying condition. In all cases, repeated diagnostic tests will verify the fluid level in your animal's lungs to assure successful treatment. If you vet prescribes furosemide for your dog or cat or sends you home with a similar diuretic, watch them for signs of dehydration due to an imbalance of electrolytes in the bloodstream. If your pet experiences lethargy, depression, GI tract disturbances, or a seizure, alert your veterinarian to report the adverse reaction and get treatment. Cardiogenic pulmonary edema is hard to prevent if an underlying heart problem is present. However, proper care for your dog or cat's existing condition can safeguard it against complications like fluid-filled lungs. To prevent noncardiogenic edema, train your pet not to chew on or play with electrical cords and get immediate treatment should your pet suffer a seizure, even if it seems minor. This article is provided for informational purposes only. If your pet shows any signs of illness, please consult a veterinarian as quickly as possible. Can Humans Get Heartworms From Their Dogs and Cats Have?